“The pro-imperialist and fascist right, faced with the failure of its political plans, nationally and internationally, wants violence, death and terrorism”. The complaint was made by the President of the Bolivarian Republic of Venezuela, Nicolás Maduro Moros, during his speech before a crowd of Venezuelans who mobilized this Saturday in rejection of terrorism and interference. 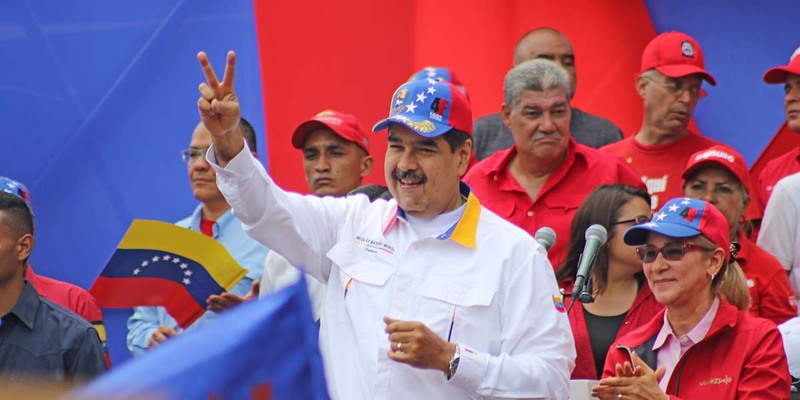 The President said that all terrorist threats that surround the country will be confronted and defeated “by the people and the Bolivarian Armed Force, in perfect civic-military union”. He referred to the detention of citizen Roberto Marrero, who is indicated as directly responsible for the organization of a terrorist cell that sought to carry out criminal actions in Venezuelan territory. “This Mr. Marrero handled dollars in full hands, this whole terrorist group called Popular Will, which has nothing of popular will, we could call it pro-imperialist will, corrupt will, terrorist will, they handle millions of dollars in their hands, they grabbed the full booty and left the opposition out”, he said. The head of State and Government asked himself: “where do they get the money from – the opposition to Juan Guaidó’s command? Who gives it to them”, Answering immediately: ” The gringos! All of the money that have been stolen from the people of Venezuela, from the bank accounts we have in the world. That’s the truth! Gringos thieves! Corrupt opposition!”. The opposition handles large amounts of money, which are used to hire groups seeking to execute crimes and undermine the stability of the nation, said the President, while reporting that the Public Prosecutor’s Office has advanced investigations and in the coming hours new captures will be executed. “This people wants justice and peace” and the Bolivarian Government will continue in the fight against terrorism and violence, Maduro said.